The vertical drop from summit to base is 558 ft. The average difference in altitude between base and summit of Ski Resorts in France is 2848 ft. Runs and slopes are therefore relatively short. The high point of the ski resort is located at an elevation of 4167 ft. 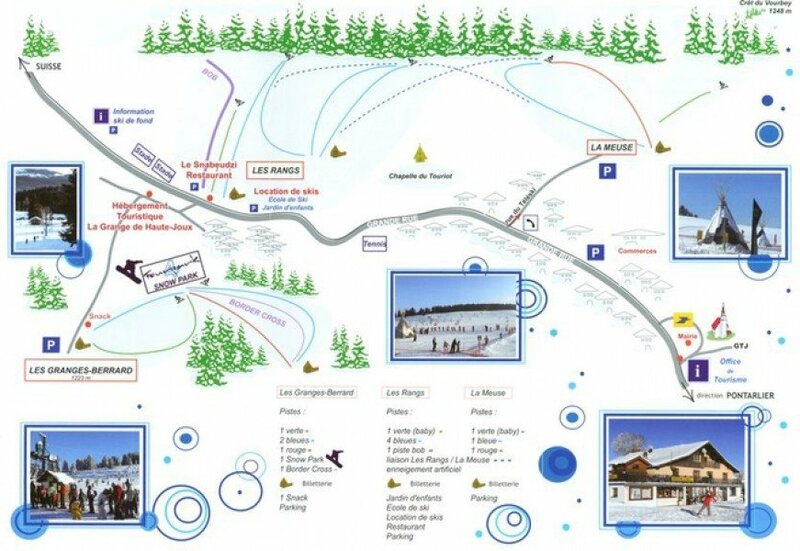 The day pass at Les Fourgs is €15 making it the cheapest ski resort the Franche-Comté. Season starts on Dec 17 and ends on Mar 26 (99 days). Average season duration in France is 118 days. Les Fourgs features 44 sunny days on average per season. The average for all ski Resorts in France is 57 sunny days. February is the sunniest month with an average of 20 sunny days.